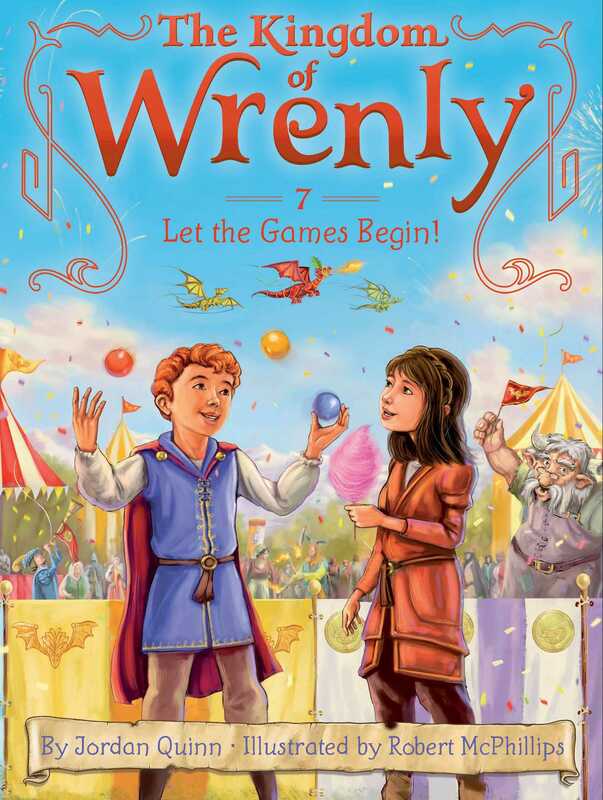 In this seventh chapter book in the fantastical Kingdom of Wrenly series, Clara sets out to prove that girls can be knights too. The diverse subjects of Wrenly have traveled far and wide to participate in the kingdom’s Grand Tournament. Dragons will fly, trolls will juggle, and knights will duel. But when a snobby squire declares that girls can’t be knights, it’s time for Clara to prove that she can do anything she sets her mind to! With easy-to-read language and illustrations on almost every page, The Kingdom of Wrenly chapter books are perfect for beginning readers. Jordan Quinn grew up in a fairy tale castle in England. It had a spiral stone staircase, a moat, and a dungeon. As a child she liked to play hide-and-go-seek and ride her beloved horse, Prince Charming. When she wasn’t riding, she wrote stories about fairies, trolls, dragons, and wizards. Today Jordan lives on a ranch in California with her husband, son, and a golden retriever named Sir Toots-a-Lot. Robert McPhillips has been involved in a wide variety of projects over the years—from illustrating greeting cards to animation, though he especially loves illustrating children’s books. Robert makes his home in North Devon, England, with his wife, Sam. Book Cover Image (jpg): Let the Games Begin!